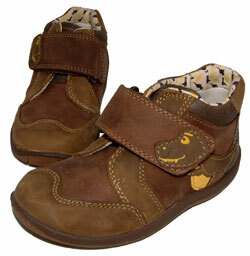 Clarks Flash Fun – are the perfect everyday boys shoes for durability and comfort. 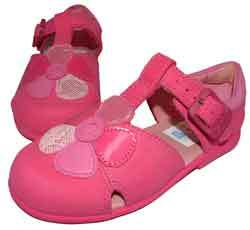 These shoes are the perfect compromise for mums looking for hard-wearing shoes and little boys looking for style and fashion. 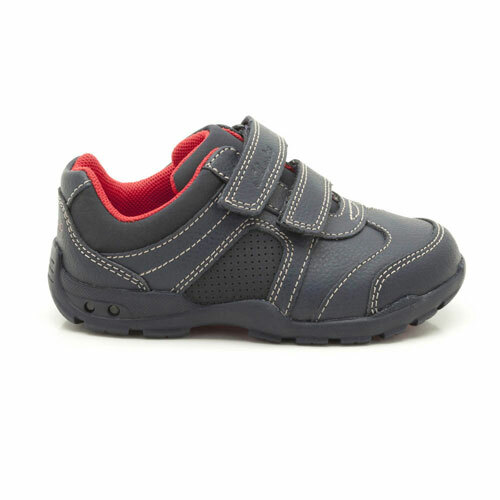 Perfect for everyday antics these shoes will keep little feet feeling fresh all day long as they are designed with Agion antimicrobial linings which help feet breathe and stay cool. 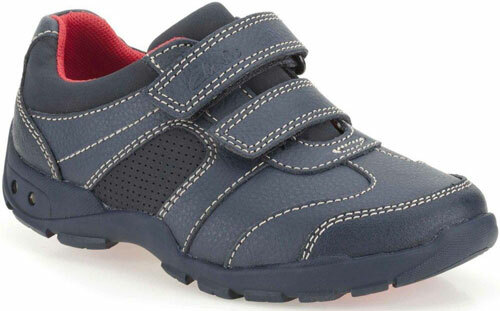 For an added fun appeal the Clarks Flash Fun also feature exciting flashing lights in the sole, ideal for any active little boy. 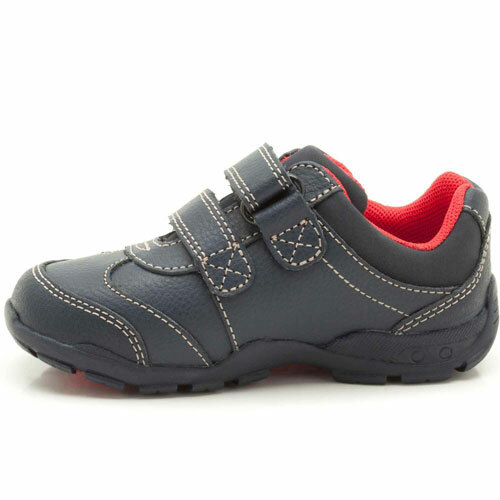 Essential attributes also include double velcro fastenings which can be adjusted for best fit and a luxurious padded collar for optimum comfort. 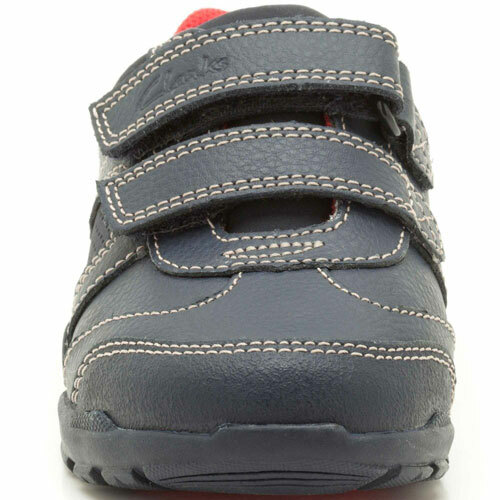 The bold red sole adds a pop of colour whilst the durable rubber sole and toe protectors provide all the support and grip needed.